Host of ‘Live with Kelly and Michael’, Kelly Ripa, made a surprising hair change last month when she debuted a pink hairstyle. 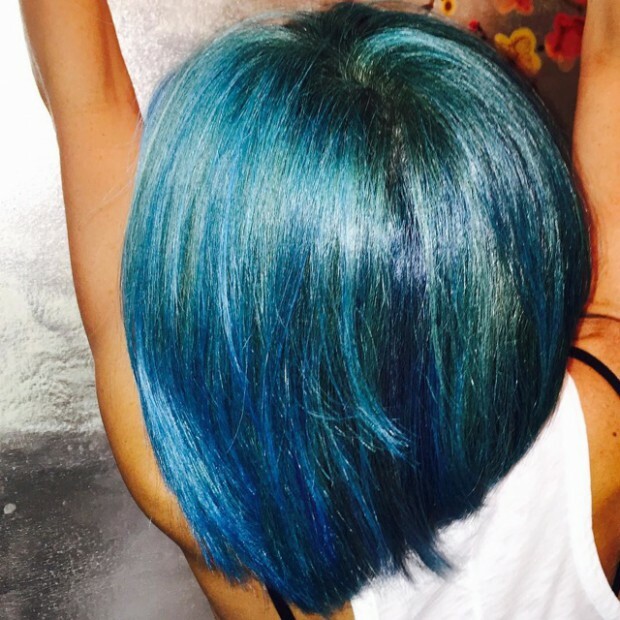 Now, the 44-year-old talk show host has unveiled an aqua blue hairdo thanks to celebrity hairstylist Ryan Trygstad. “[My kids] think I look like a superhero,” Kelly said about the new hair color.